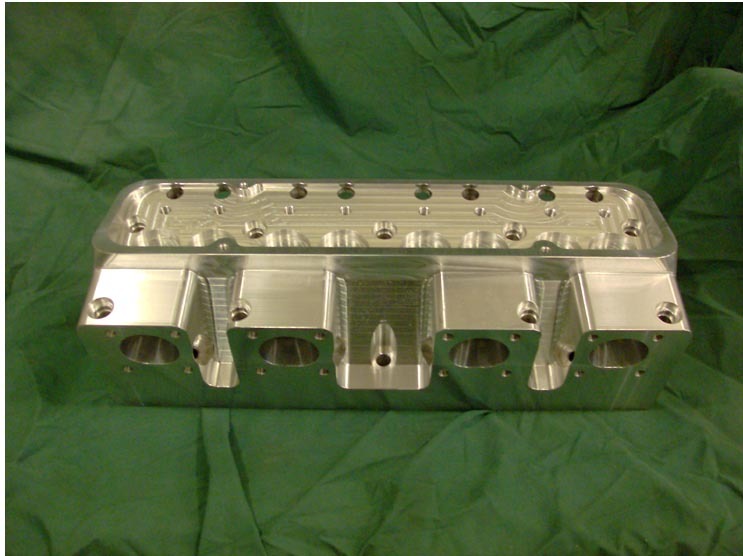 This is Kauffman Racing Equipment line of Solid billet aluminum heads. 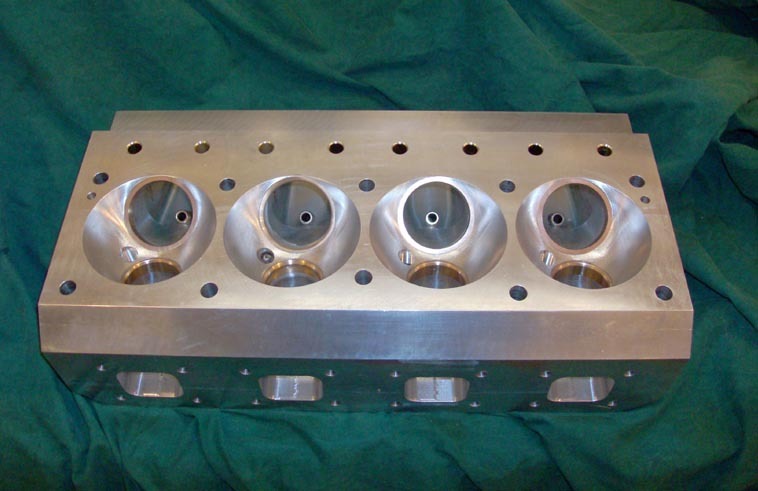 The following are aluminum cylinder heads that we make and offer to you for ultimate Horsepower gains. 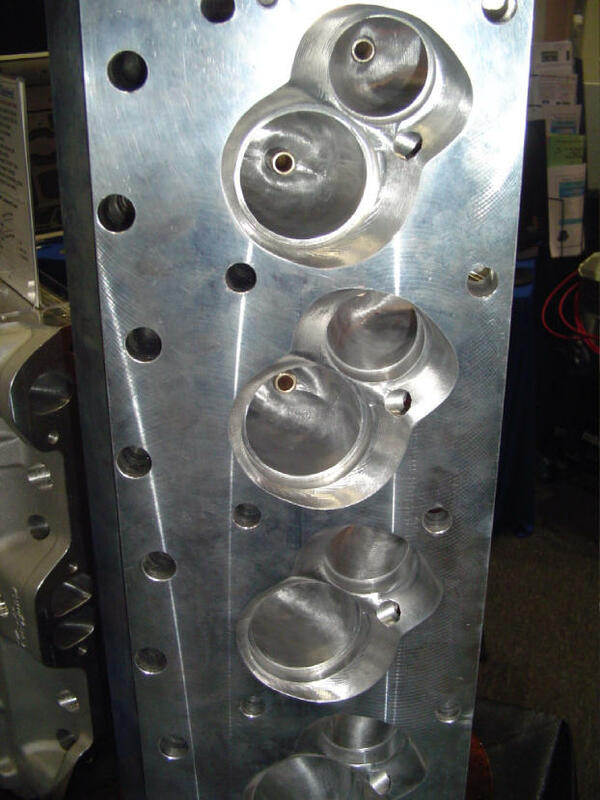 These cylinder heads are designed mostly for alcohol fuel racing with a blower and turbo charged engines. Our own testing lets us know if these heads are a good choice for up and coming water jacketed castings that we can offer at a lower cost for street to strip engines. 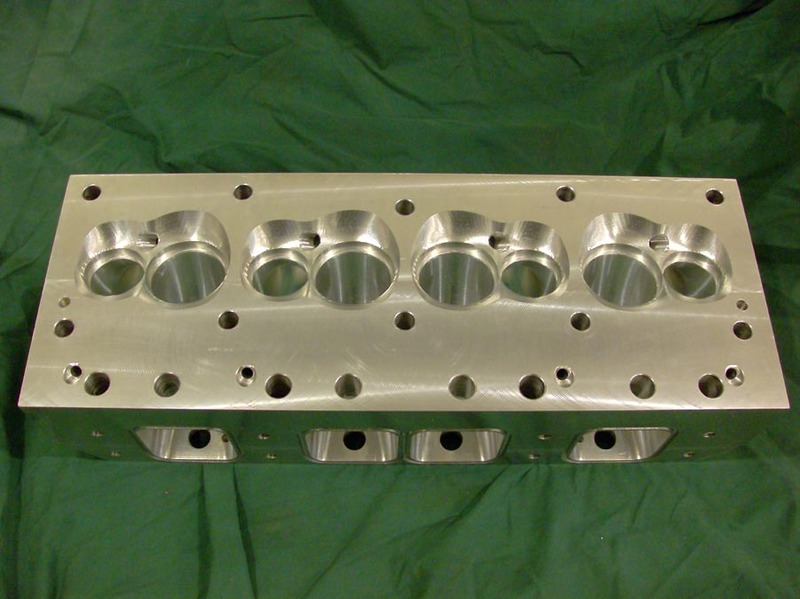 All heads are machined in house on our own CNC Machines. 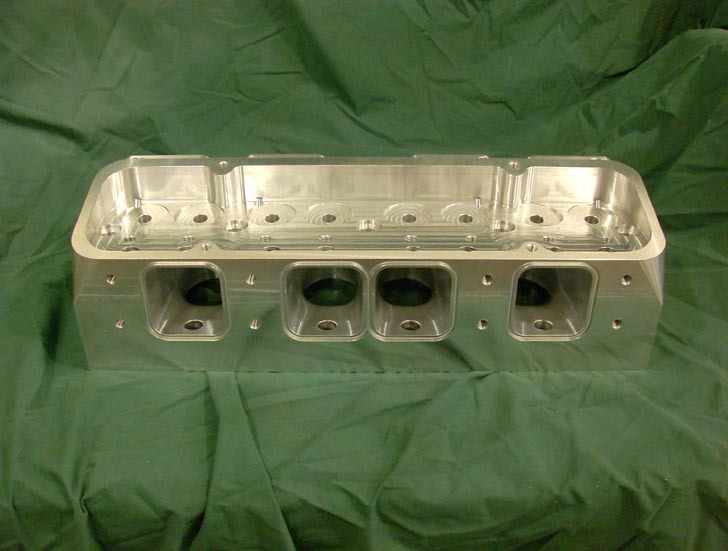 Pontiac Hemi - This head was designed for a MR-1 block with a 4.300 or larger bore. Port sizes are designed for 450-560 cid engine blown on alcohol making in the 2400-3000 horsepower range. Pontiac Hemi - Setup with a 2.500 intake valve and a 1.950 exhaust valve. Flow figures in the 550 cfm range in the intake and 400 on the exhaust bring this head to the very for front of Pontiac horsepower potenial. 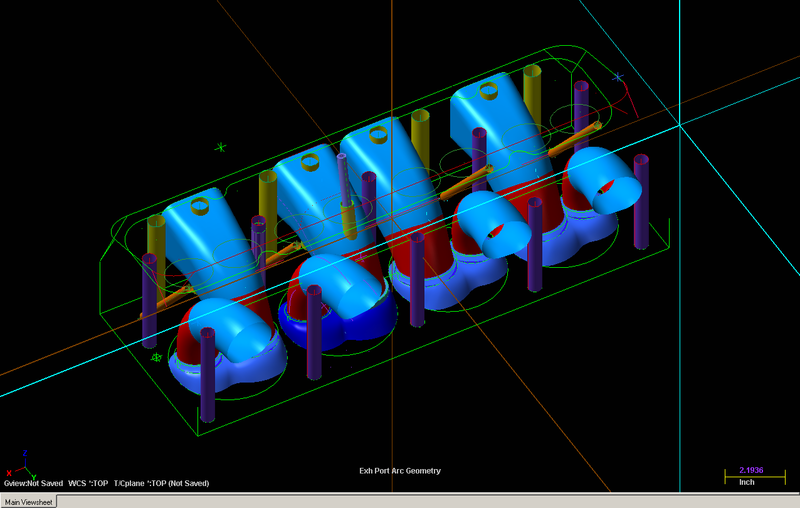 Pontiac Hemi CAD - Drawn from Master Cam software, the Hemi design is tested for valve, pushrod, rocker, springs and sprak plug clearances. 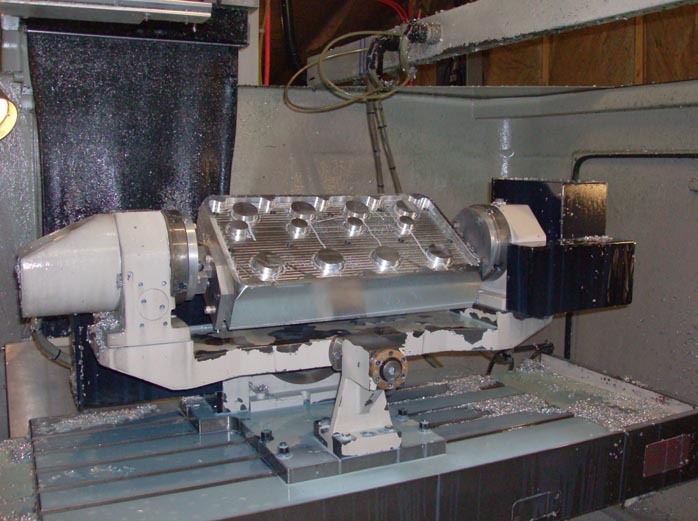 This insures us 100% use once machined in our 5 axis CNC machine. Pontiac Hemi CAD - Careful attention was made to the rockershaft design to accomodate the Pontiac block design. 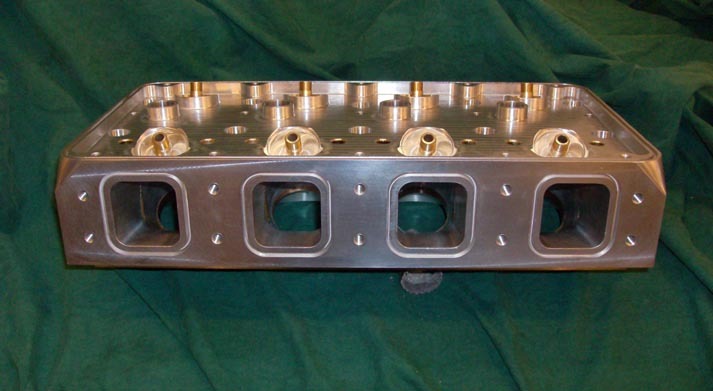 No modification is needed to the block like you would with a regular type hemi head. 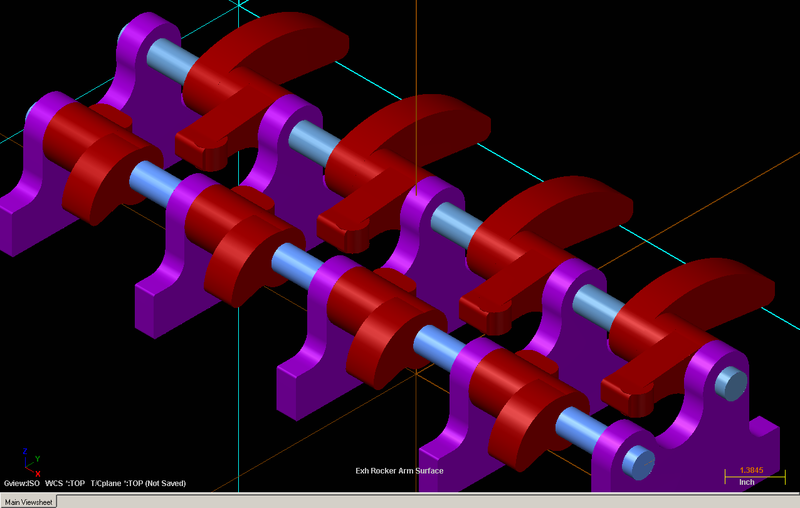 Proper rocker arm geometry is designed for lifts from .700 - 1.100. 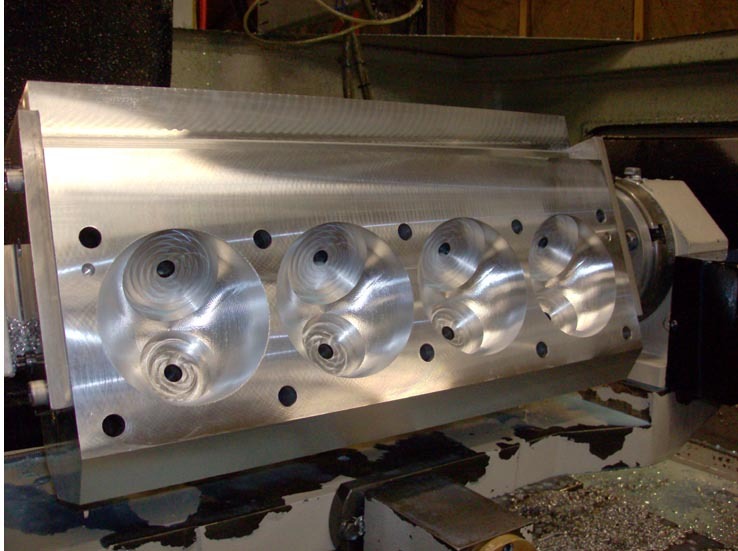 Pontiac Hemi - This head is starting out as a 100 pound solid chuck of aluminum. Notice the guide holes, seats and head bolt holes are machine into the head Pontiac Hemi - A ton of chips later the valve cover and spring seat pads are machined in. External dimensions are a finished sizes. Ram 5 - We made this updated design of the Ram Air 5 head in a billet version. Taller intake runners for better flow and fuel distribution. 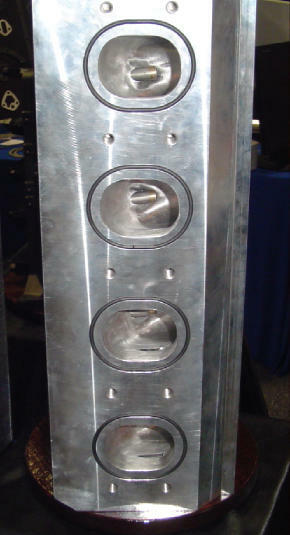 Ram 5 - Newly designed raised exhaust ports for better flow and blow down. Deisgned for a T&D rocker assembly under a stock valve cover rails. Ram 5 - Head shaped chambers for high efficient combustion chamber burning. Relocated and angled spark plugs for fast ingniton burn. Designed for larger bore diameters. 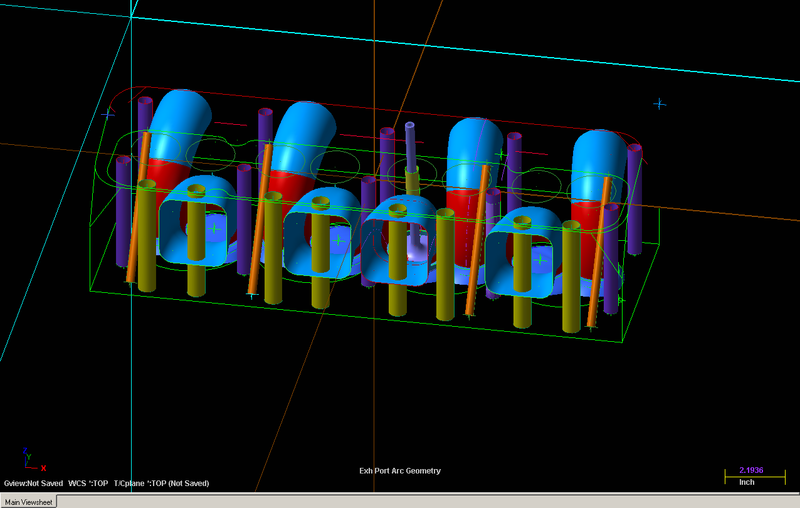 Ram 5 - You can see the tunnel port design with the arrangement of pushrod tubes in the CAD software. Ram 5 - Attention was made from Mastercam software to align the ports for clearance around head bolt tubes and pushords. 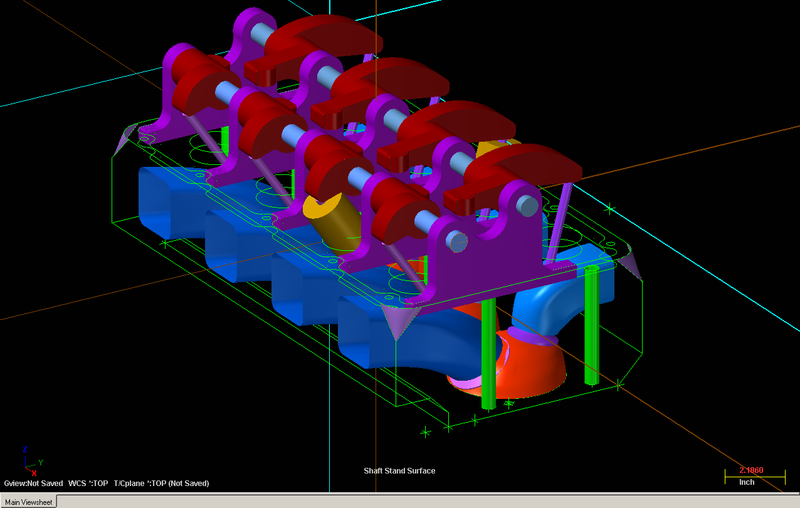 Warp 6 - Here is the ultimate cylinder head for naturally aspirated engines. 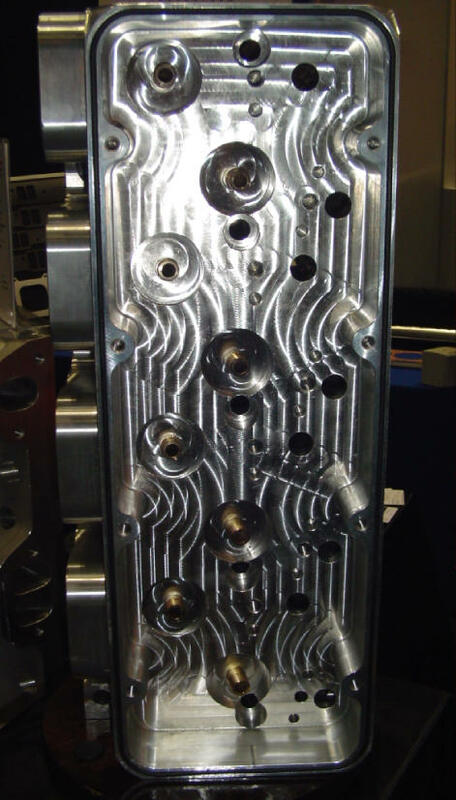 You can see the unrestricted intake runners and splayed valve design. Taller intake runners for better flow and fuel distribution. Warp 6 - Valve arrangement for better flow, tighter heart shaped chamber design and spark plug locations for fast chamber burn. Warp 6 - Here is the valve cover area and the exh. port locations. You can see a standard Pontiac valve cover isn't going to work with a canted valve designed head.